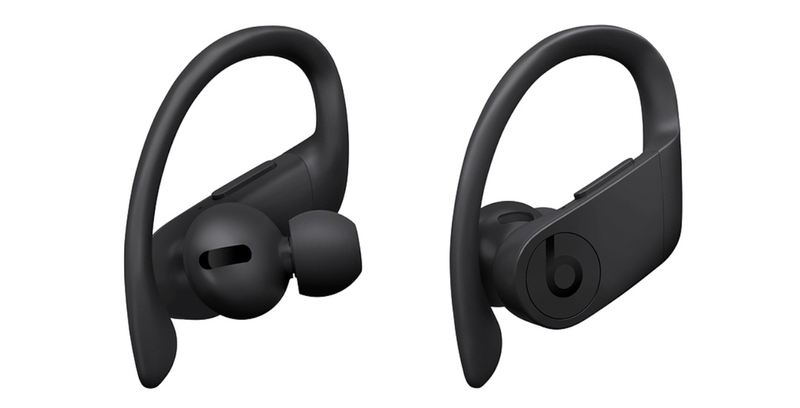 After weeks of rumours, Apple’s AirPod-like Powerbeats Pro wireless earbuds have been officially revealed with a price tag of $329 CAD. As expected, the PowerBeats Pro feature ‘Hey Siri’ voice-activated integration, as well as Apple’s new H1 headphone chip, the same silicon featured in the company’ recently released AirPods. The PowerBeats Pro are sweat and water resistant, and feature volume, track and play/pause controls built-in. Further, the headphones include Class 1 Bluetooth, which Apple says results in extended range and fewer dropouts, as well as the ability to take calls from either earbud. Rather than USB-C, the Powerbeats Pro’s charging case feature Apple’s proprietary Lightning connector, just like the second-gen AirPods. Other specs listed on Apple’s website include 9 hours of listening time and 24 hours with the included charging case. Before the official reveal of Apple’s Beats branded ‘PowerBeats Pro’ earbuds, an ad for the completely wireless headphones was spotted in Hollywood, according to 9to5Mac. Apple’s new Powerbeats Pro wireless earbuds are priced at $329 CAD. For comparison, Apple’s second-gen AirPods cost $269 with the charging case coming in at $99. The first-gen AirPods are priced at $219. The Powerbeats Pro are listed as ‘coming soon’ on Apple’s website. We’ve reached out to Apple for more information regarding the wireless earbuds Canadian release date.